The announcement comes following heavy speculation that the Moneymore outfit would switch its racing programme to the prestigious German manufacturer after a long and highly successful partnership with Suzuki over the past 14 years. 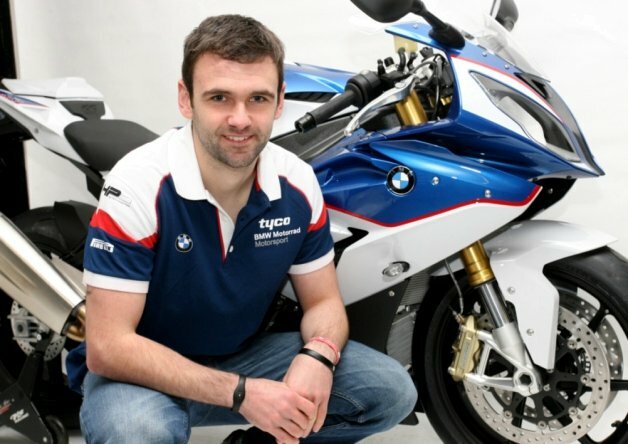 Ballymoney’s William Dunlop and Lincolnshire star Guy Martin will spearhead the team’s roads challenge again next year on the all-new S1000-RR, while Toomebridge’s Michael Laverty has been brought into the BSB line-up along with English prospect Tommy Bridewell. Alastair Seeley also makes a return to the familiar environment of Philip and Hector Neill’s outfit to contest the Pirelli National Superstock 1000 Championship and the North West 200, with Tyco Security Products remaining on board as title sponsor of the team, which will be known simply as Tyco BMW. Dunlop, an international Superbike race winner for TAS Racing this year at the North West, and motorsport mega-star Martin will contest the North West, Isle of Man TT, Ulster Grand Prix and selected national events next season, when a return to the top step on the Mountain Course in June for the first time in six years is the key objective. “Everyone knows BMW are a class act and it’s nice to have it all wrapped up before Christmas. We all saw how good the Superbike is this year with Michael winning at the TT and the whole package is so strong. “I’ve sat on the bike and it feels right for me; people keep asking if I think it will handle well but I’ve no doubt that it’s going to be a great package,” added the 29-year-old. “Being BMW’s official team is a big deal and having official factory support will make a real difference. Philip [Neill] doesn’t cut corners and a lot of effort has gone into this. Martin, meanwhile – who is also bidding for his maiden TT victory next summer – said he was all set to retire from the sport had it not been for the switch to BMW. “Moving to BMW machinery is the reason I’m still racing next year and not retiring. I’ll always give it my all and to be with a quality manufacturer like BMW is mega,” said the 33-year-old. “I’m looking forward to getting on the bikes as soon as possible. It’s a new bike and I’ve never ridden it before, but we all know its pedigree. A question mark remains over which machinery Dunlop and Martin will ride in the Supersport class and Dunlop was keeping his cards close to his chest. “The deal I’ve done with Philip is to ride for BMW in the Superbike and Superstock classes; whether I ride a 600 or not next year is up to Philip,” he said. Team Manager Neill described the move as a ‘great honour’ and revealed the team will have ‘full factory support’ from Germany. “It really is a great honour for TAS Racing to be chosen by BMW to spearhead their racing efforts in 2015, and everyone involved has been very supportive in helping us put the correct package together,” he said. “Although our agreement is with BMW in the UK, the support we have received from BMW in Germany is already very encouraging. “It is with great pleasure that we can finally announce BMW Motorrad’s support of the TAS Racing team for the 2015 British Superbike and Road Racing season. “In 2014, BMW Motorrad had its most successful season of racing ever in the UK, which has enabled us to increase our support to both the British Superbike and Road Racing paddocks for 2015. “The TAS Racing team will spearhead our assault on track, and on the roads, and will receive the full technical support from our BMW Motorrad Motorsports in Munich within the framework of the BMW Customer Racing Strategy,” he added.